Of course, it does and that's why we are here to assist you. We are the best and we have earned that title because we take pride in our work. Our customers are dear to our heart! We wake up every morning, pour our coffee and think about how to make your life more pleasant. 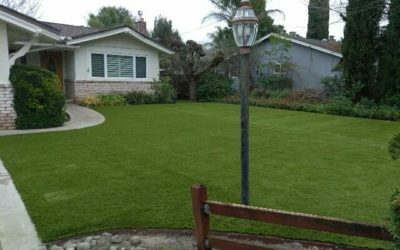 There are all types of synthetic grass that you can choose from and we have years of experience, which gives us the ability to do any kind of property. We can't wait to see the big Kool-Aid smile on your face after you witness the amazing transformation of your property. You're going to feel better then you feel when you jump into the beautiful ocean on a hot day. Ready, set, go! We are on the way to give you the yard that you've been dreaming of. Synthetic grass is a yarn fabric surface product manufactured to resemble natural grass. There are many different names for it, such as artificial turf, synthetic lawn, or fake grass or lawn. All refer to the same thing. 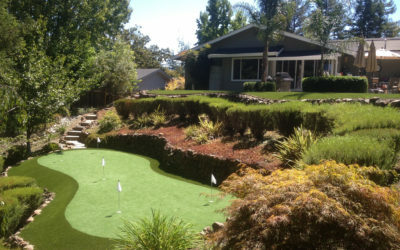 Synthetic lawn is made to look and feel like real grass but requires very little maintenance. We provide many different product options for color, feel, and an overall look that will work best for you. Synthetic grass is used for residential areas, commercial areas, sports fields, and indoor and outdoor use. It is a non-toxic, value added, and family and pet-friendly alternative. The process begins by measuring the area and removing any existing grass along with approximately 4″ of soil. Next, the area is then leveled and a layer of compactable base rock is added in. The base rock is then compacted in order to support the turf when it is applied. After the base rock is set, a second layer of fine rock is added. The second layer is smoothed, sculpted, and compacted. After this step, the synthetic grass is ready to be installed. The synthetic grass is then rolled out and set into place. The grass is trimmed and seamed as necessary to fit the area it is being installed. If it is needed, divided sections are attached together to fit the varying shapes and sizes of the area being installed. 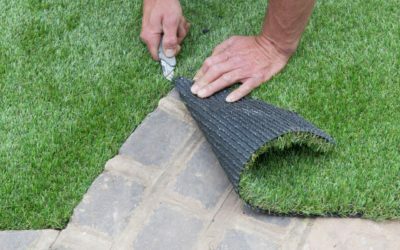 After the grass is installed, the installers go over the grass with a power broom, which stands the blades of grass up to give it its natural look. Two ways to contact us via email or phone! EMAIL US!CALL US!